What went down at Bongo's Bingo? Last updated 23 April 2018 . By India Benjamin. For first timers, pulling up to Canal Mills, where Bongo's Bingo is held, you’d be forgiven for thinking you are in the wrong place. Essentially a converted barn, Canal Mills lacks lustre from the outside, and isn’t much better on the inside. It’s slightly dingy, and dimly lit, but you’ll soon forget this – especially when the lights go down and the night begins. The space is filled with rows and rows of tables with benches, facing towards a large stage. The benches fill up fast, so I recommend getting there as early as possible, especially if you’re in a big group. The games start at 8pm, so heading down for around 7pm makes it much more likely you’ll secure a space, although it will end up being a cosy fit either way! After bagging a seat, it’s time to head to the bar. Once the bingo begins, you’re going to be stationary for a while, so stocking up on drinks is a wise move. It’s pretty budget friendly for an event based evening, with a bottle of prosecco costing £18, and singles coming in around £4. 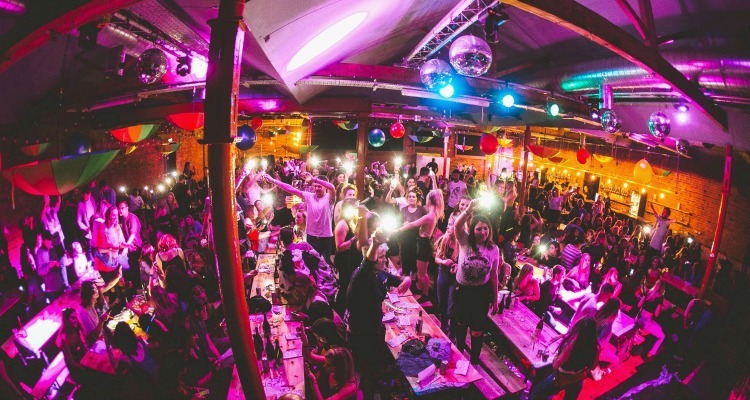 Set in legendary Canal Mills, Bongo's Bingo is a huge night of fun. There are many unexplainable parts of Bongo's Bingo. Why are there men on stage dressed as milkmaids? Why is one prize a life size cut out of Phillip Schofield? The whole night is a puzzle, but that is part of its charm. Before the games begin, there’s 15 minutes of '90s raving and light show; just to make absolutely clear that this is not your average night of number calling. It sets the tone for an electric evening and gets the adrenaline pumping. Then, without warning, the music stops and the games begin. There are seven games played during the night, with prizes for a single line, double line, and full house – if you win, it’s a shout of ‘BINGO’ to claim. Falsely call, and you’ll be labelled a dickhead, with the term of endearment chanted at you from the entire venue. A joint win calls for a dance off, with the best dancer claiming the prize. Prizes vary from Cocopops (which the winner can keep, or throw across the crowds), to celebrity cardboard cut outs, to cold hard cash. To start, it’s very traditionally bingo; they call a number, you mark it off. But then a number is called, and a (questionably) related song plays, and without any hesitation, everyone gets on top of the table and dances. 17, for example, plays ‘Dancing Queen’. Songs are blasted out every three to four numbers, making it incredibly hard to get in the bingo rhythm. Only the disciplined stay focused to the end – most people end up half-playing, with their energy going into chatting, raving, and drinking. Halfway through the evening, there is an interlude; another 15 minute rave, with glow sticks and all. In keeping with the newest wave of bingo, this game is completely outrageous and heaps of fun. 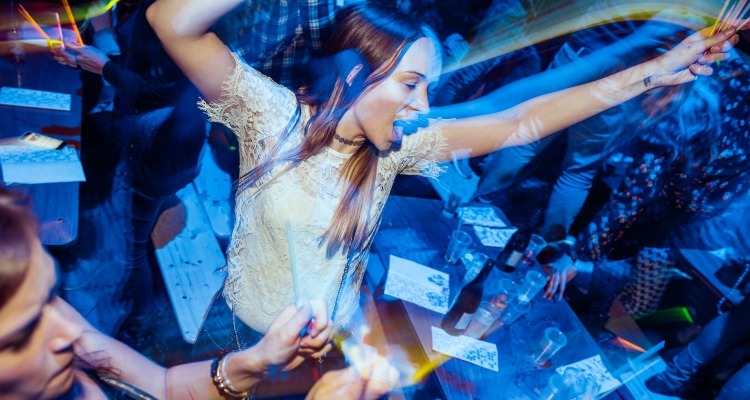 Bongo's Bingo is the antidote to boring nights out. The chances of winning a decent prize are pretty slim, but you’re not there for the prizes; you’re there for the buzzing atmosphere and nostalgic tunes. Tickets will set you back around £10, but getting hold of them can be tricky; the Saturday events usually sell out within days of going on sale, so you may want to keep an eye on the Bongo Bingo Facebook page if you are planning a visit.